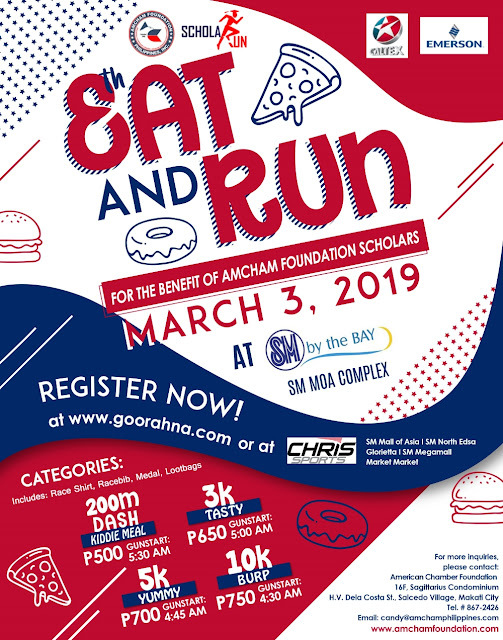 The American Chamber Foundation Philippines, Inc. (AmCham) will hold its annual benefit ScholaRUN on March 3, at SM “By the Bay”,SM Mall of Asia complex, Pasay City. Entitled “8th and Run” – the 8th AmCham Foundation ScholaRUN”, the “eighth” year event is a word play on “eight” and “ate” – or “eat” and run! 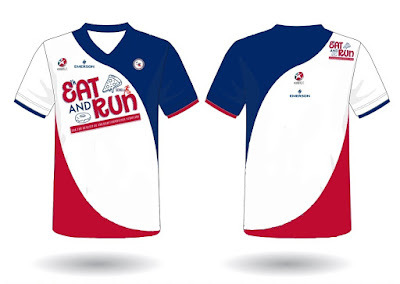 This eighth year, the run will highlight Filipinos love for American food. 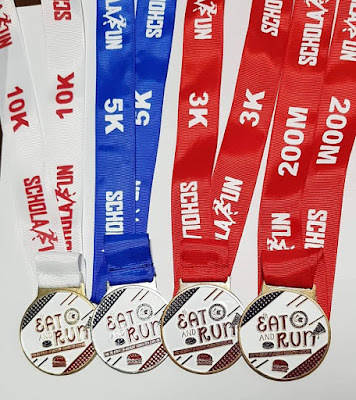 Participating runners will get to taste several American favorites - burgers, pizza, doughnuts, etc., upon reaching the pit stop. The run’s unique concept is a first of its kind in the Philippines. Apart from its exciting and distinct idea, the 8th ScholaRUN intends to support AmCham’s scholars. The foundation espouses educating the youth; thus, your support and participation matter to them as this will help them in the achievement of the program’s objectives.